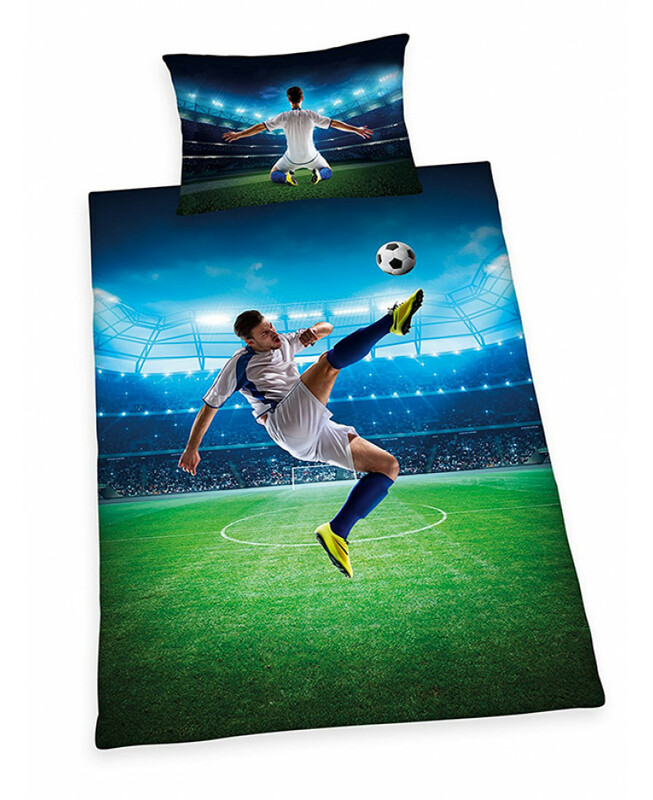 This cool Football single duvet cover set features a footballer doing a bicycle kick against a floodlit stadium backdrop, with the player in a different celebratory pose on each side of the pillowcase. 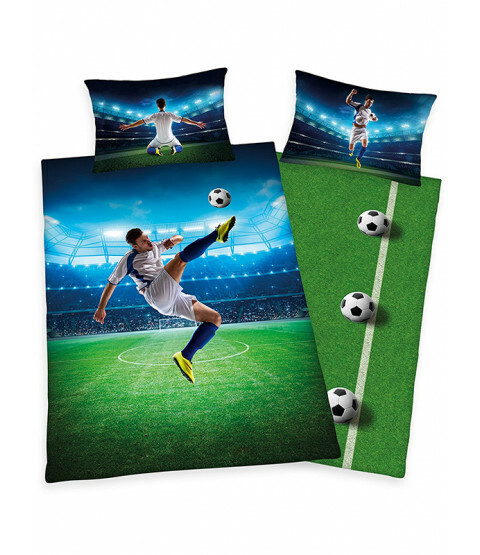 The reverse of the duvet cover has a footballs and pitch themed design. Made from 100% cotton, this bedding set is machine washable and can be tumble dried on a cool setting.